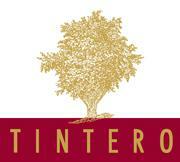 In 1900 a Frenchman named Pierre Tintero set out for Piedmont in search of work. He found an opportunity to do odd jobs at a small estate where widow Rosina Cortese was struggling to handle all the work herself. Pierre, called "Pietrin" by the locals, quickly became a vital part of the estate and also fell in love with the widow, whom he married two years later. The couple continued to work the vines together and bottled their own Dolcetto for the first time just as war fell in 1914. Years later their grandson would find a stash of this vintage hidden within the walls of the cellar, certainly a precaution against ransacking troops who passed through the area. Pietrin and Rosina's two sons, Giovanni and Carlo, eventually took over the estate and expanded it by purchasing adjacent vineyard plots. Moscato was just a tiny part of their production since it is only practical to produce it in large quantities, but after the Second World War giants Cinzano and Martini began producing the wine, so the brothers planted more of the variety to sell to these negociants while they continued bottling their still wines themselves. It was not until the 1980s that Carlo's son Elvio began experimenting with the challenging process of frizzante wine production, allowing the family to take advantage of the grape's special affinity to the local terroir. Elvio has now handed the reins over to the next generation, but he continues to help his son Marco and daughter-in-law Cinzia run the estate. The commune of Mango is the heart of Moscato country, and 20 of the Tinteros' 30 hectares are planted to this grape. Their largest parcel is in the Sorì Gramella vineyard, whose full southern exposure and gradient of more than 20% pamper the grapes with many long hours of sunshine, without even casting shadows from one row to the next as is the case in most vineyards. The resulting wine is delightfully fizzy and slightly sweet, an irresistible combination that makes it a universal favorite. Marco also maintains that same spirit in his other wines, which are all fresh, easy, and fun to drink with friends. "Everything you could want in a Moscato, Marco’s is special because it comes from a perfect little micro-terroir for the Moscato grape. Simply delicious."